When it comes to facial aesthetic treatments and surgery most of us want just want to look great for our age (or a few years better!) and beautiful; but not so different that our kids freak out when they see us, or our friends don’t recognise us when we’re on the other side of the street. Renowned Australian Plastic Surgeon Dr Bryan Mendelson is considered one of the world’s most prominent facial plastic surgeons, and he says his patients most commonly expressed sentiment is “I want to look less tired… refreshed but not altered.” We asked Dr Mendelson about how he achieves his sought after natural looking results. Of course, it goes without saying that the better the surgeon the better the result will be. The face is one part of your body you don’t want to mess with. 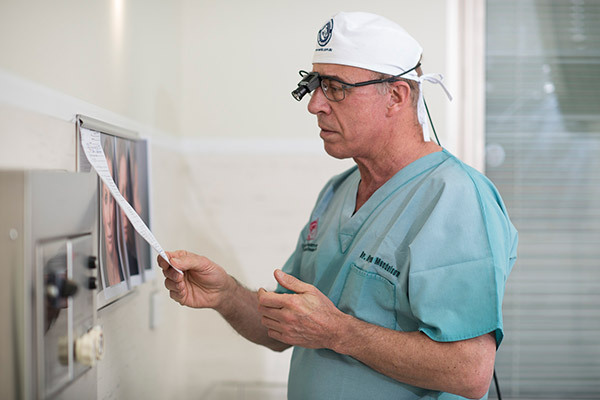 It is his individualised approach and understanding of facial anatomy that is at the heart of Dr Mendelson’s success. In fact, he’s even written a book about it, “In Your Face”. Dr Mendelson says it’s about making subtle changes to restore the youthful shape of your face. This may mean smaller rejuvenations such as returning proportion to drooping eyelids or reducing lines around the eyes and mouth, among any other concerns you might have that you should discuss with your surgeon at your consultation. So, the best facelifts are the ones you don’t know have been done. The ones where you feel that someone looks great for their age but not so different or youthful that it’s unnatural. Gone are the days of overdone facelifts. We are now in a modern era where plastic surgeons are able to make you look just as you were a few years previously, with natural and subtle but beautiful results. We need no longer fear the facelift! If you’d like to arrange a consultation with Dr Bryan Mendelson phone 03 9826 0977 or if you’d like to read more about him check out the blogs below. To find a plastic surgeon who does facelifts near you click here.